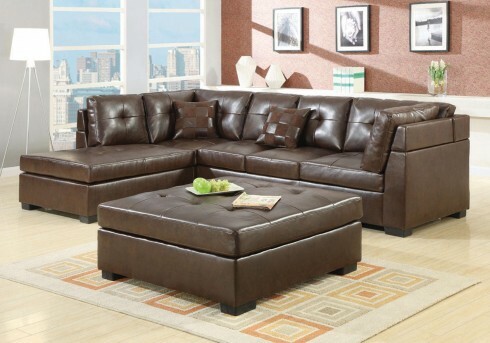 Width : 111" - 120"
The Darie Brown Sectional offers incredible comfort with crisp lines and sumptuous tufted seat and back cushions wrapped in brown bonded leather. 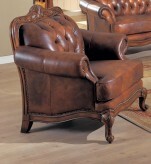 Ideal for entertaining company or stretching out on lazy afternoons. 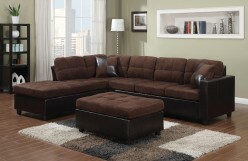 High-resiliency foam cushions add an irresitable softness. 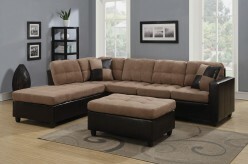 Complete this sectional with the matching oversized ottoman (sold separately). 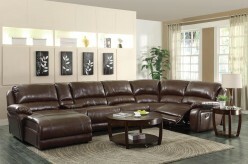 Furniture Nation is proud to offer the Darie Brown Sectional online. 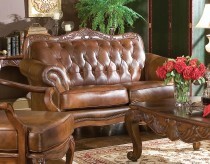 We serve customers across the DFW region including Irving, Southlake, Denton and many more. 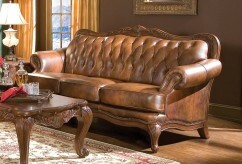 L109" x D75.5" x H35.5"